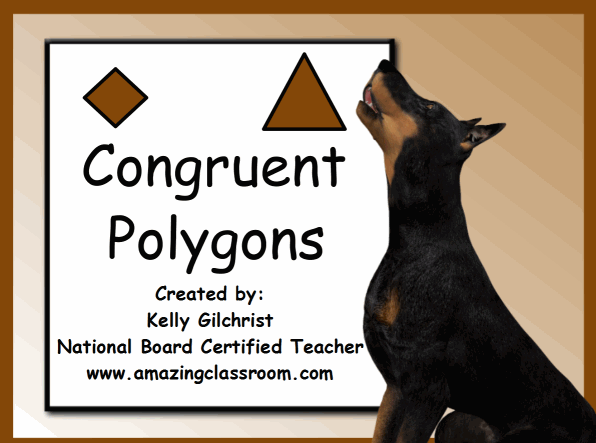 With this flipchart lesson, your students will be sure to identify whether two polygons are congruent or not congruent. This flipchart provides interactive games with a ton of voting for use with your voting devices. Enjoy! This flipchart will be sure to engage your students. It contains high frequency words for the upper elementary grades. The students will listen to the word and then rearrange the letters to spell it. On some pages, the students will figure out the word based on its definition. 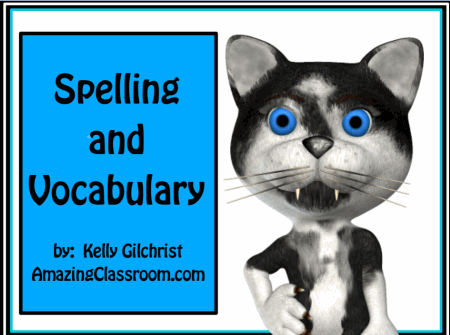 This is great spelling and vocabulary practice to use as a whole group, or at reading stations. Enjoy! 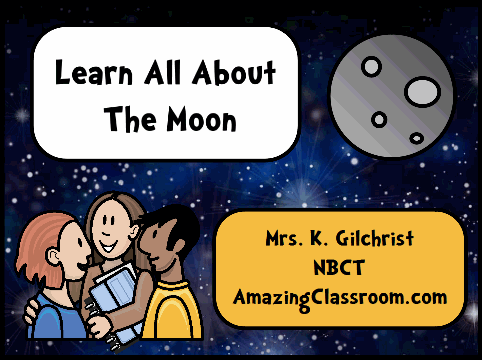 With this flipchart lesson, your students will learn all about the moon. 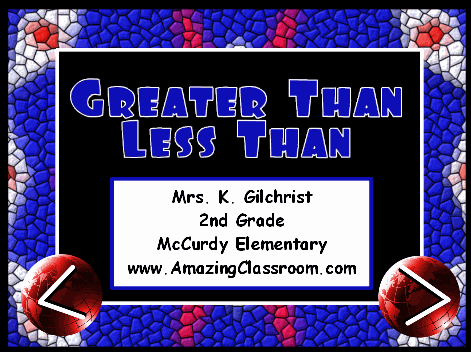 This lesson contains videos, supplemental activity pages, voting, containers, plus much more. This flipchart is most appropriate for students in grades 2, 3, or 4, but can be adapted for earlier or older grades. Enjoy! 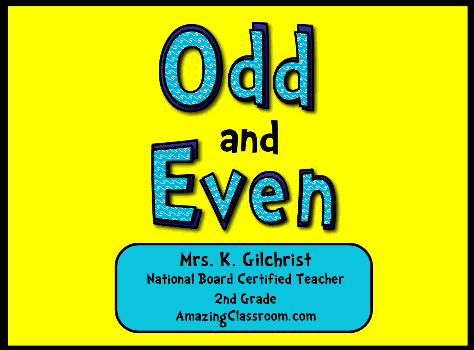 Using this flipchart your students will learn the difference between odd and even numbers. It also allows for a multitude of student interaction. Your students will love the containers, interactive games, videos, and voting in this lesson. Enjoy! 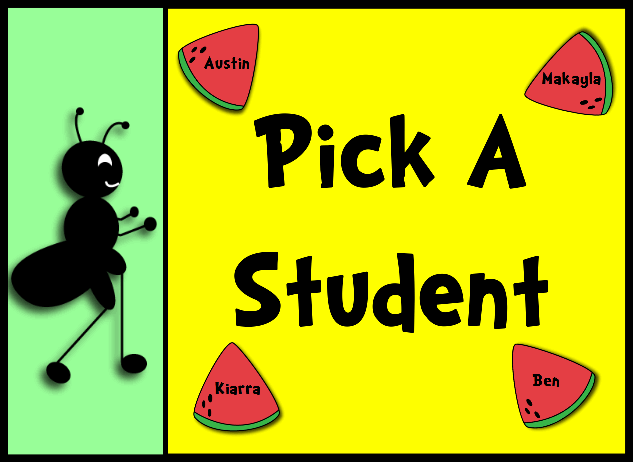 This "Pick-A-Student" flipchart is bright, colorful, and one that your students will enjoy. It features a picnic like theme with ants and watermelons. Call on your students randomly with this unique flipchart. Enjoy! This flipchart is highly interactive. It is very colorful, bright, and will be sure to gain your students attention! It contains tons of assessment with the Activotes or Activexpressions, has multiple container activities, and restrictors! Enjoy! 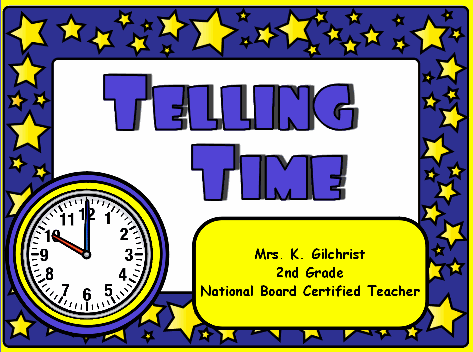 With this flipchart your students will learn to tell time in a snap! It's very interactive and has restrictors, containers, magic reveals, and assessment. The graphics are bright and colorful. Enjoy! 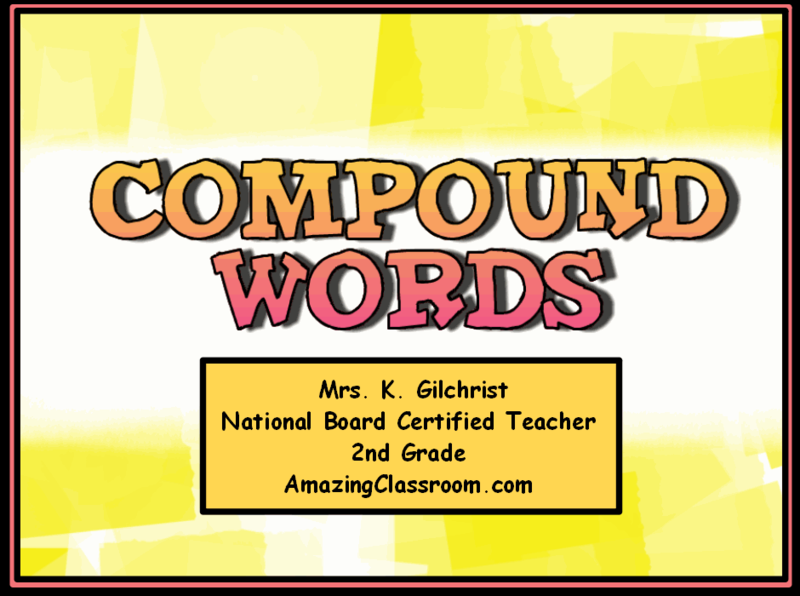 Your students will absolutely love this flipchart lesson on compound words. It is highly interactive and engaging. It contains containers, music, restrictors, and assessment. The flipchart pages are very colorful and page notes are included. Enjoy! 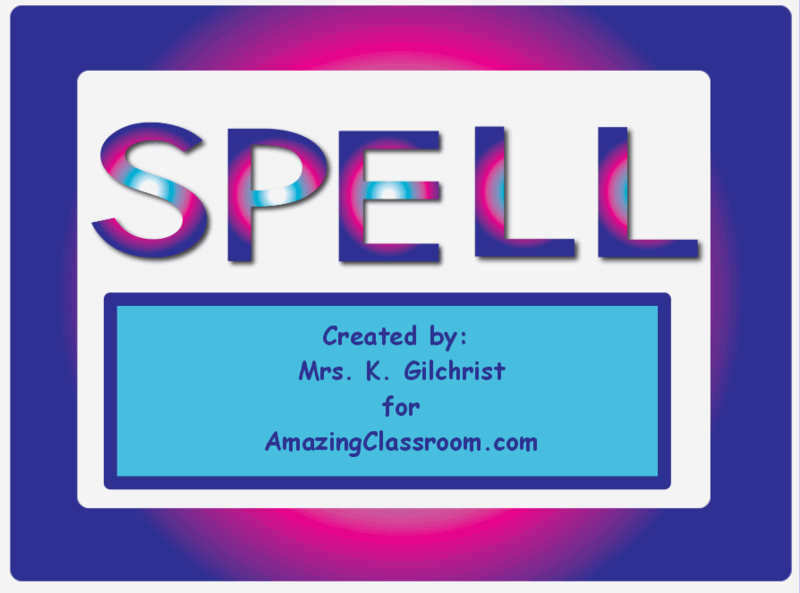 Use this flipchart for a spelling activity. Use in groups or with individual students. All of the letters are set to drag a copy, so the students can drag the letters up into the frame one at a time to spell a word! Enjoy! 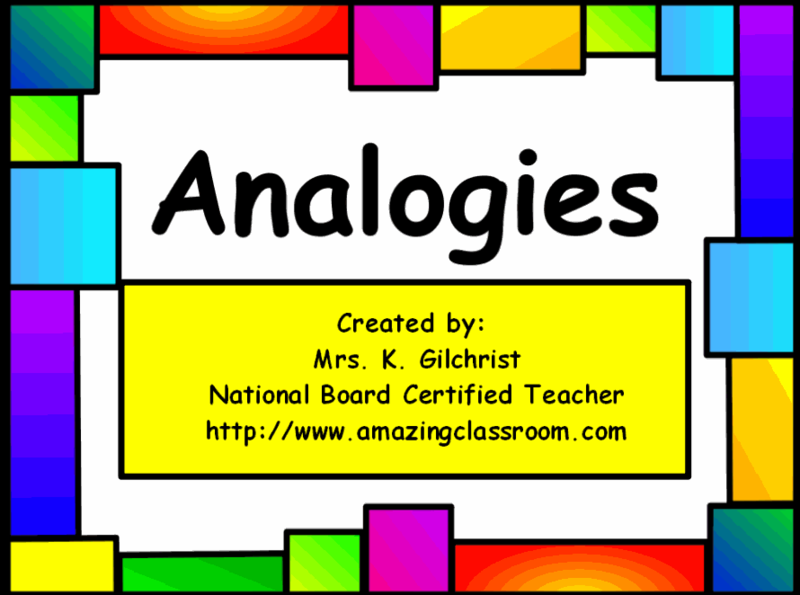 With this flipchart, your students will be sure to learn analogies and will be able to complete them. This flipchart allows for a lot of interaction at the board. It includes fill in the blank, magic revealers, containers, and even voting for Activotes or Activexpressions. Enjoy!